This beautiful floor lamp is finished in black and aged gold for a subtle yet stylish look. It has a textured cream linen hardback shade. 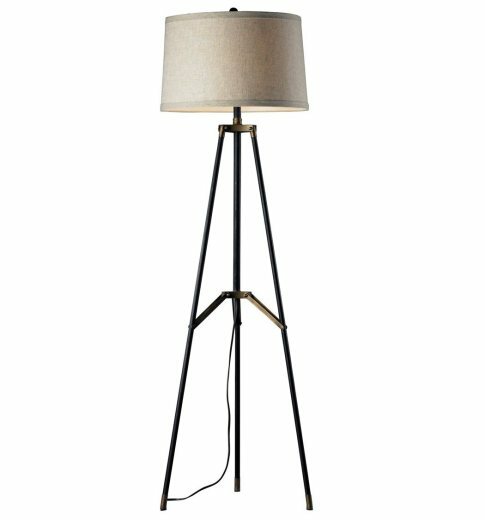 Neutral yet chic, this lamp is a great addition to your home. Features one 150W bulb.